By Kristin Masters. Mar 27, 2019. 9:00 AM. Few activities offer the sport and serenity of fishing. That unlikely combination has made fishing a popular pastime for people of all ages and backgrounds. Presidents Jimmy Carter and Herbert Hoover did it. So did literary giant Ernest Hemingway. Fly fishing elevates this rather humble sport to a true art form. 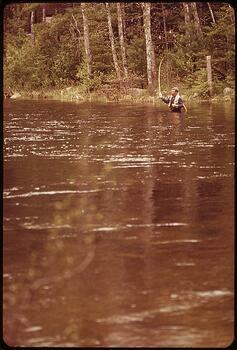 A fly fisherman must develop a rhythm and style for his cast, and then practice unending patience. That's why Izaac Walton called fly fishing "The Contemplative Man's Recreation." Fishing has long been a means of sustenance, but it has also grown into a competitive sport and a relaxing pastime. Here are a few little-known facts about fly fishing. Roman Claudius Aelianus was the first to record fishing with an artificial fly. That was toward the end of 200 AD. 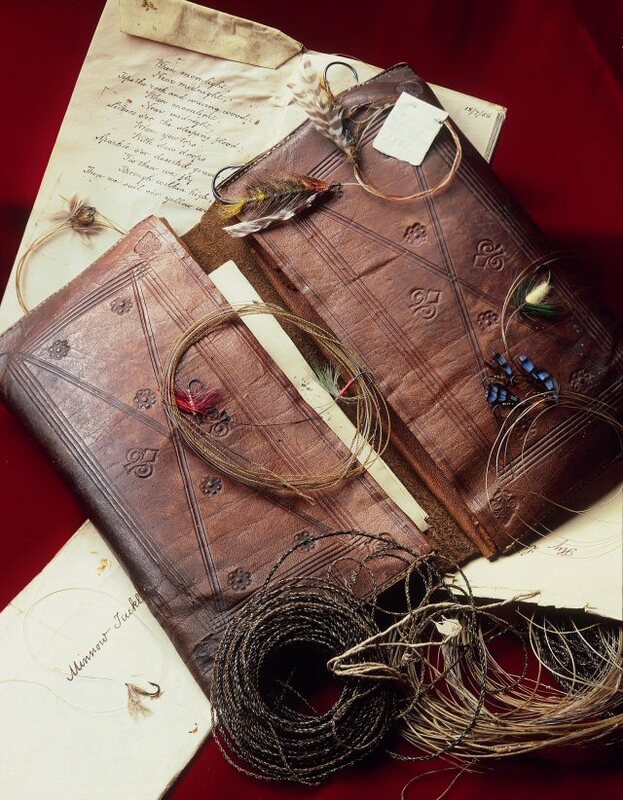 Shakespeare was a fly fisherman. His fishing companion, John Dennys, wrote six verses on angling that Izaac Walton later quoted in The Compleat Angler. The Compleat Angler is the second most reprinted book in the world, after the Bible. Charles F. Orvis, an American fly fisherman, crafted the first modern fly reel. Reel historian Jim Brown called Orvis' design "the benchmark of American reel design." Brown trout were originally exported to Australia in 1864—solely for the purpose of giving young men access to a "manly sport" that would keep them from seeking entertainment in casinos and bars. Early fly rods were made of greenheart wood. Eventually bamboo replaced greenheart, but fiberglass replaced wood in the 1950s. Similarly, flies once made of fur and other natural materials are now generally made of synthetics. Interested in reading more about fishing? See below! Fly-fishing 101: Seriously, Can You Outsmart a Trout? The sport of fishing in America has long endured, despite what some people intuitively assume by early adulthood: that the term “fishing activity” is an oxymoron. For those folks, it’s a wet, messy, endeavor starting early in the morning and resulting in either nothing to show for one’s efforts or, from time to time, cold, clammy creatures that must be gutted and cleaned. But, for those who can see the art and science in the act of fishing, and who can learn to appreciate the workings of chance present on any given fishing escapade, the sport is actually quite riveting. 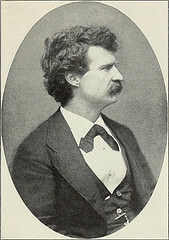 Within American literature, one of the earliest treatments of fishing as a cultural theme is clearly visible (to this author, at least) within Mark Twain’s The Adventures of Tom Sawyerwhen Tom, Huck and Joe Harper run off to an uninhabited island in the Mississippi River to fish and dream of becoming pirates. With the island undoubtedly symbolizing the boys’ social isolation in reaction to encroaching American Industrialization, Twain uses their passionate fishing interest (self-evident, in my view) as the trigger for Tom and Becky’s societal death and resurrection epiphany inside the cave. Perhaps Twain would be disappointed that not all readers seem to grasp a connection between fishing, the cave, and the death of Injun Joe. However, Twain must have been gratified that both the island symbolism and death/resurrection epiphany reemerged (I’m confident Walt Disney would agree with me on this point) as Paese dei Balocchi in the Italian novel The Adventures of Pinocchio, published in 1883. The fly-fisherman faces an adversary living in a watery world outside his experience, vulnerable only while eating bizarre food from the insect world, and equipped with senses and wiles beyond man’s perception. To outsmart a trout, a fly-fisherman must present a fly identical in look and texture to the real flies already floating past the fish. Then, the fly-fisherman must cast the fly, weighted down by line and hook, such that it behaves as naturally in the water as true flies do. Finally, a fly-fisherman must have proximity to the trout for these conjuring tricks to work, without causing the quarry to disappear in a smudged flash of light.